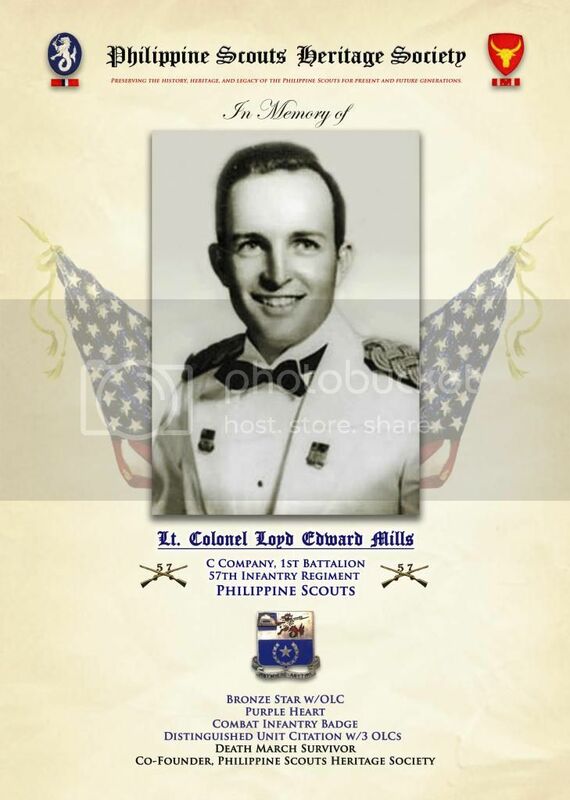 25 years ago, on January 14, 1990, Lieutenant Colonel Loyd Edward Mills passed away. He left an amazing story and legacy behind. - Although he had to be carried off of the hellship Brazil Maru, he survived. 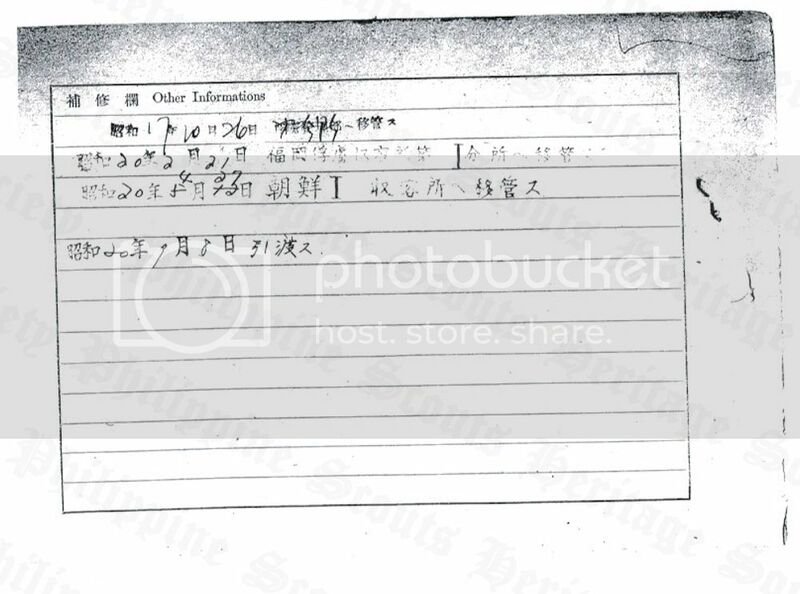 - Survived Japanese POW camps in Japan and Korea. 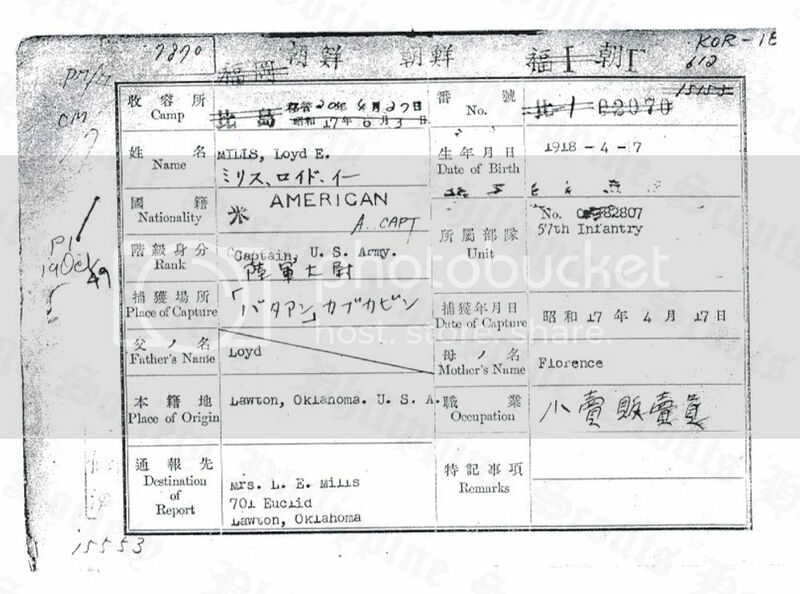 After two tours in Japan, Loyd retired as a Lieutenant Colonel, U.S. Army Reserves, in 1960. During his Army career, he received the Presidential Unit Citation w/3 Oak Leaf Clusters, Bronze Star w/Oak Leaf Cluster, Purple Heart, POW Medal, Army Commendation Ribbon, American Campaign w/1 Star, Asiatic-Pacific Campaign w/3 stars, Army Occupation Forces Medal, WWII Victory Medal, Philippine Defense Medal w/1 star, Philippine Liberation Medal, Philippine Independence Medal the Philippine Gold Cross, and Philippine Military Merit Medal. 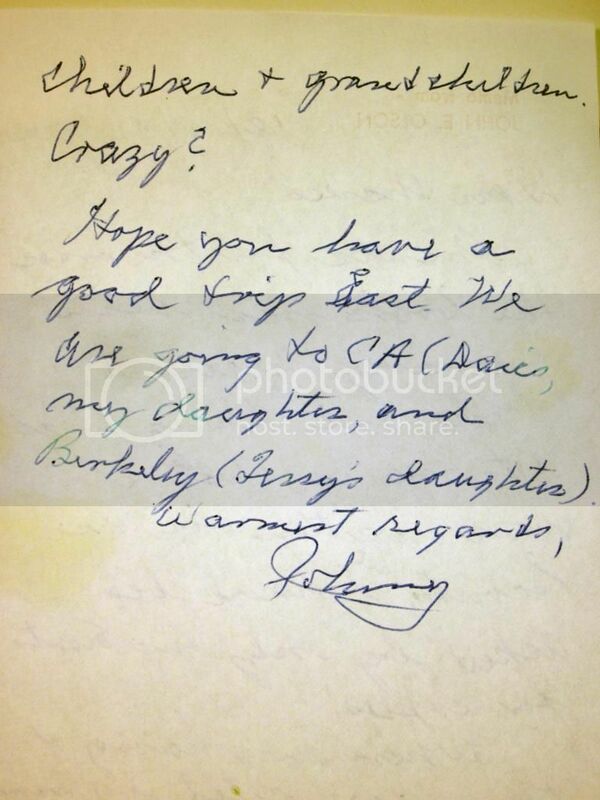 In 1964, he graduated from California State College, Fullerton, CA and became a probation officer in Riverside, CA. Let us not forget this leader, survivor, and friend. Lt. Col. Loyd Mills' grouping consists of his insignia (including a Japanese-made Philippine Division patch), medals, hats, a cross-stitched 57th Infantry (PS) insignia, a photo of all the 57th Inf. 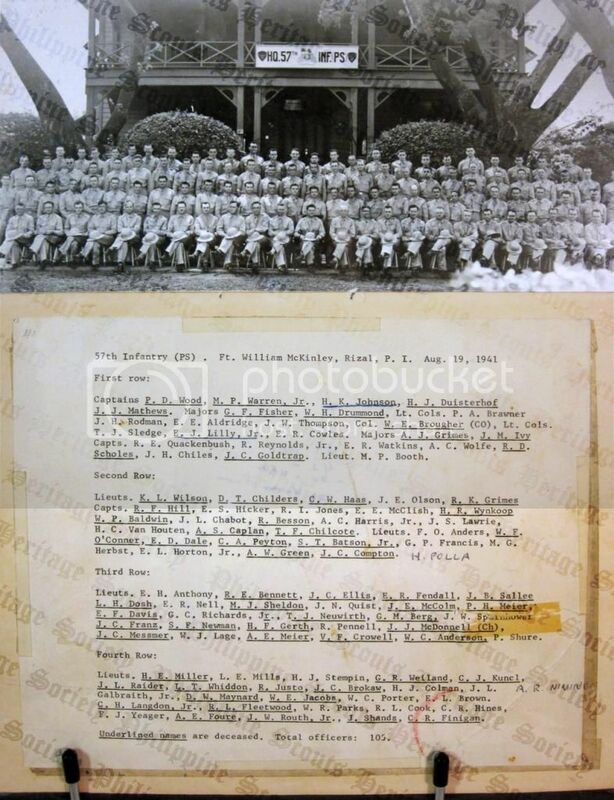 (PS) officers present in August 1941 and more. 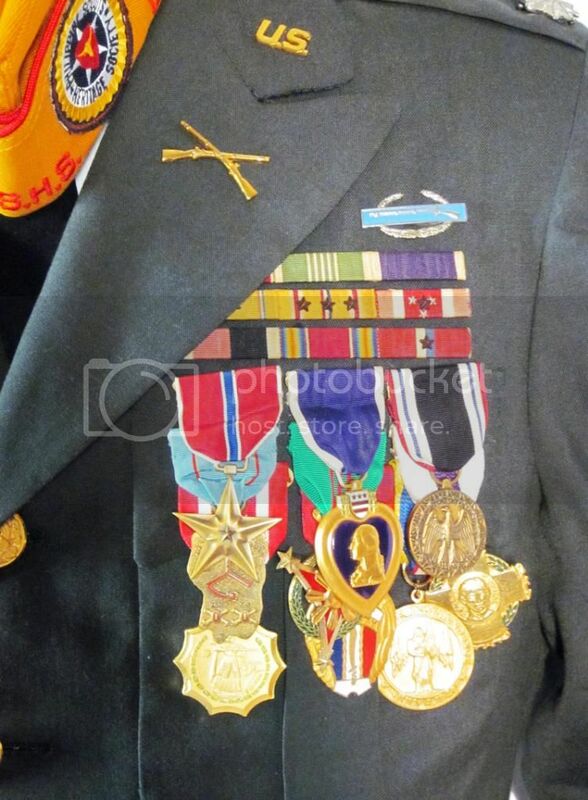 His medals hang above the right chest pocket. 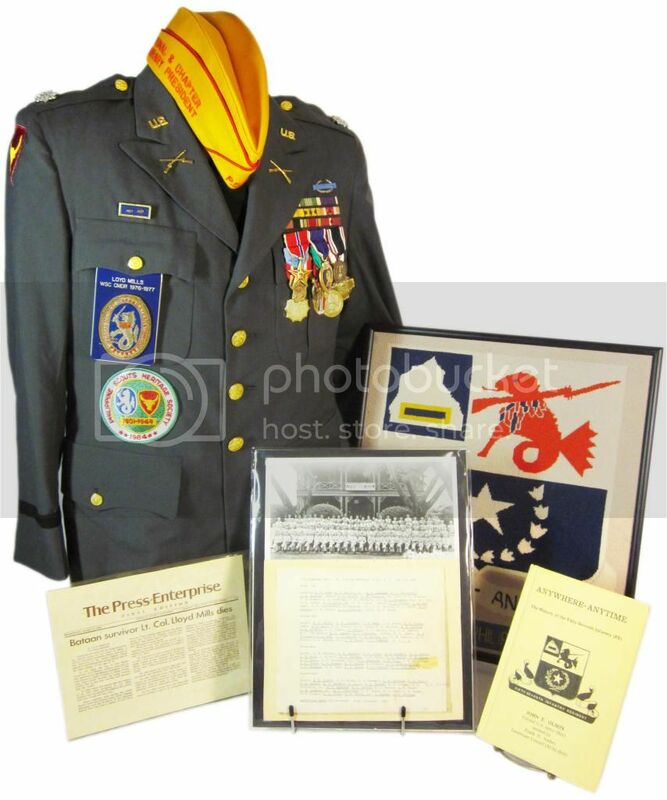 It includes the Bronze Star w/Oak Leaf Cluster, Purple Heart, POW Medal, Bataan Medal (New Mexico National Guard), the Philippine Military Merit Medal, the Philippine Gold Cross, Philippine Defense Medal w/1 star, Philippine Liberation Medal, Philippine Independence Medal. A Japanese-made Combat Infantryman Badge is above the ribbons. Officers of the 57th Infantry Regiment (PS), August 1941. Lt. Col. Mills' named Bronze Star, Purple Heart and POW Medal. A copy of Mills' POW card (obverse). A copy of Mills' POW card (reverse). 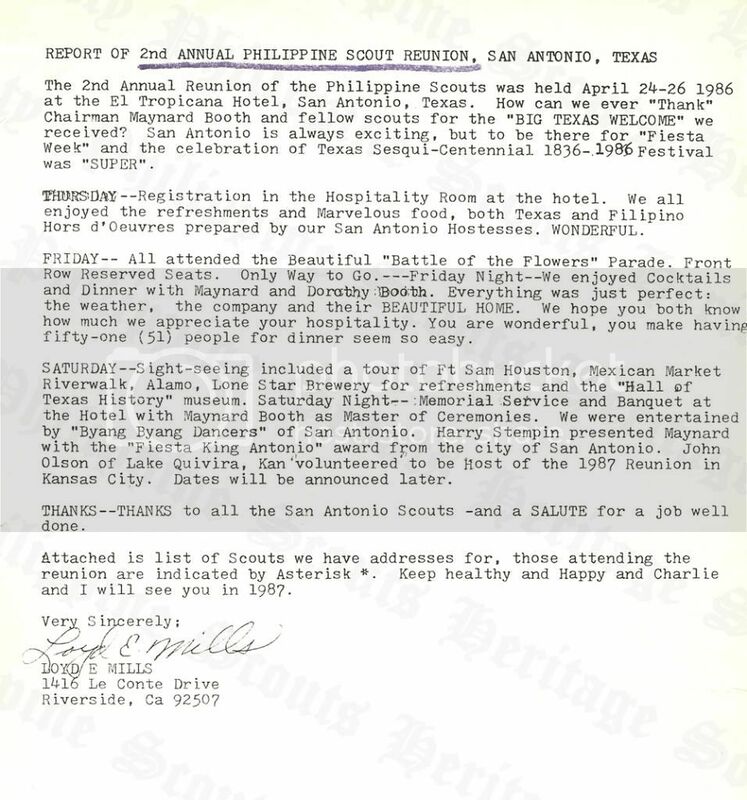 Lt. Col. Mills' report on the 1986 Philippine Scouts reunion. 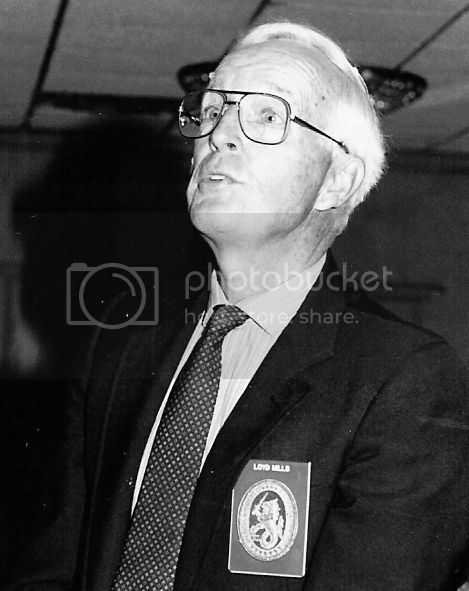 Loyd Mills at the 1989 Philippine Scouts Heritage Society Reunion. 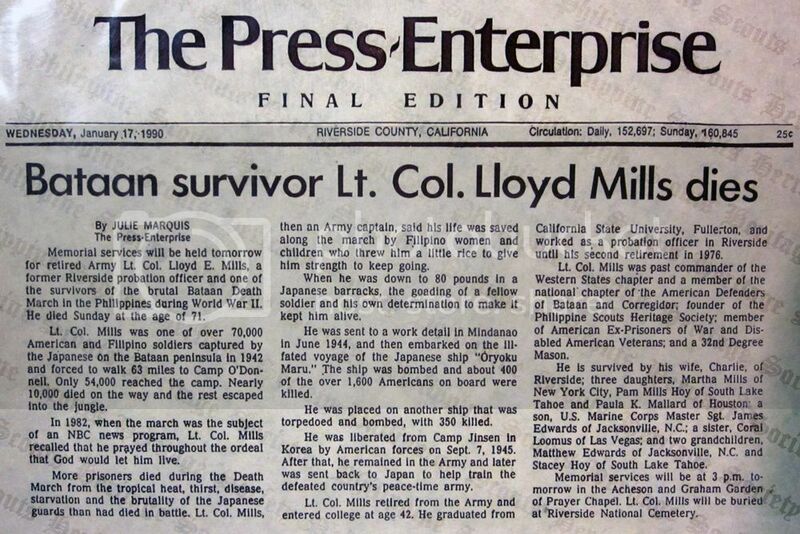 The Press-Enterprise reported on the passing of Lt. Col. Mills, dated 01/17/90. A copy of Col. John Olson's "Anywhere, Anytime: The History of the Fifty-Seventh Infantry (PS). 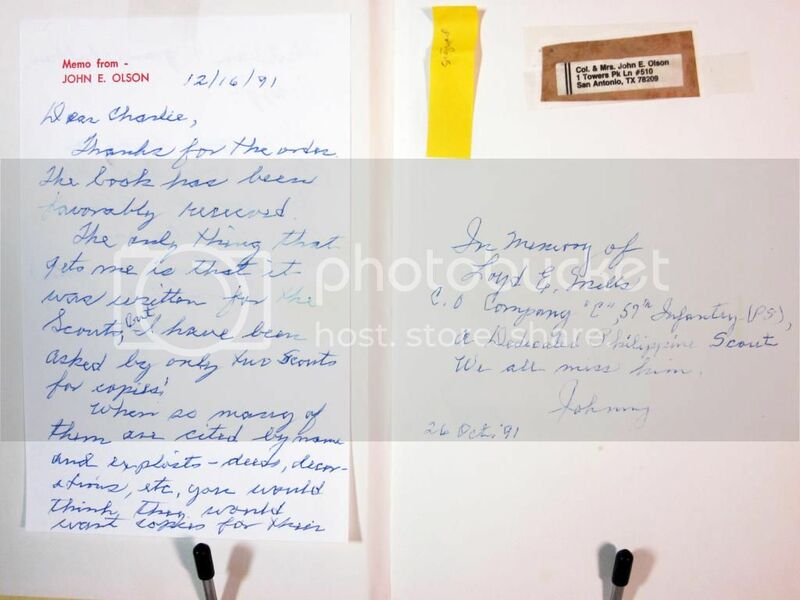 Inside was a small dedication by the author to Loyd Mills as well as a note to Charlie Mills, Loyd's wife. The back of the letter to Charlie Mills.